As the weather warms across the country, the flood season is upon us. The participants of the Preparing Our Home program sent some of their photos to share examples of how their communities are dealing with floods. Darlene Munro, a Preparing Our Home Advisory Circle member and past director of the Dancing Deer Disaster Recovery Centre shared this photo of her mother’s house in Siksika Nation, Alberta. The Nation declared a State of Local Emergency of April 16h, 2018 due to overland flooding. Water still flooding some areas. They are working on our road, brought pumps to hubby to drain water, so hopefully some of us will go home. However, now we are on flood watch from the river. So much snow, on the positive side it has been dry for so long I hope all this moisture helps Alberta to recover from drought conditions. I also hope all the run off has also helped to wash away the silt from the 2013 flood in our valley that has covered our traditional medicinal plants – wrote Darlene. 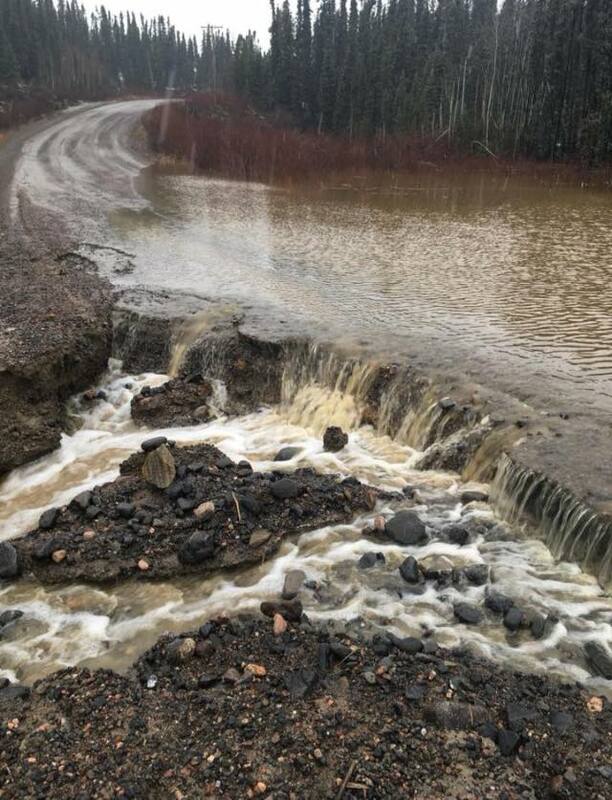 Sheena Sinclair, a youth worker in Stanley Mission, northern Saskatchewan has shared these photos of washed out roads. Highway 915, the only road into the northern community of Stanley Mission remained closed for several days due to the wash out. 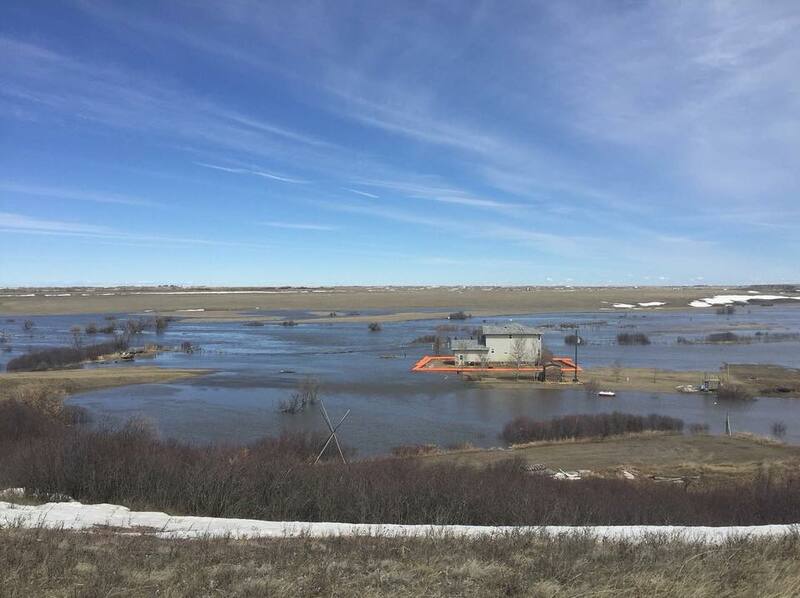 Spring run-off in the area is expected to be higher than normal as there is more snow on the ground in the region than in other parts of the province. 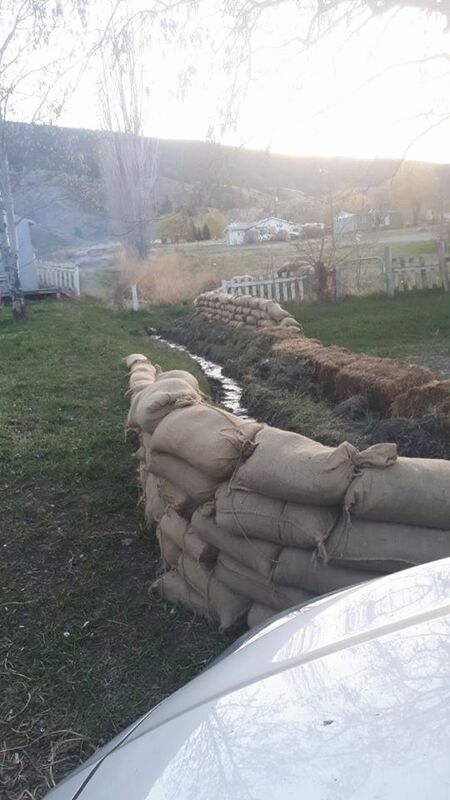 In BC, Tyler Zabotel of the Bonaparte Indian Band shared photos of flood mitigation techniques. The community experienced a severe fire season last year and due to vegetation loss and clay hills the community is at higher risk of flooding.